Whether you own a restaurant, coffee shop, apparel or grocery store, giving your business curb appeal is an effective business move. All of these businesses accept walk-in traffic, so welcoming your customers can be vital for the success of the business. Anyone that passes your business is a potential customer. Location, Location, Location. Everyone knows the location of a business is important, but what compliments a prime location? For Grand Coney of Grand Rapids, MI an electronic message center that has attractive video and graphics compliments their prime location with great results. Grand Coney of Grand Rapids, Michigan needed something to help increase customer traffic. Electro-Matic Visual's LED display was the right fit for Grand Coney's needs. 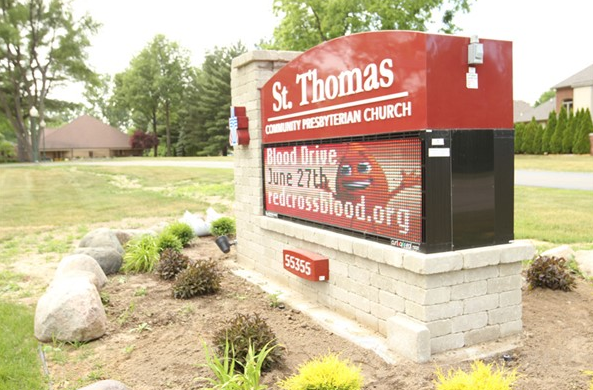 They positioned their LED sign to utilize their location and to capture the attention of the thousands of people that drive by every day and is one of the many selling points of a LED Sign. Installing a LED sign has helped Grand Coney have a record opening weekend. "The Electro-Matic LED sign was a great tool to promote our new location which resulted in a record opening weekend for us. The software is easy to use and the media library had a lot of great content to use saving me time from creating new content. We just purchased an indoor sign for another one of our restaurants and are excited to incorporate these in more of our locations." -Eric Dexter, Marketing Manager, Restaurant Partners Inc.
Electro-Matic Visual is pleased to hear that Grand Coney is taking advantage of our free media content, located on our website, and getting creative with their own custom content. 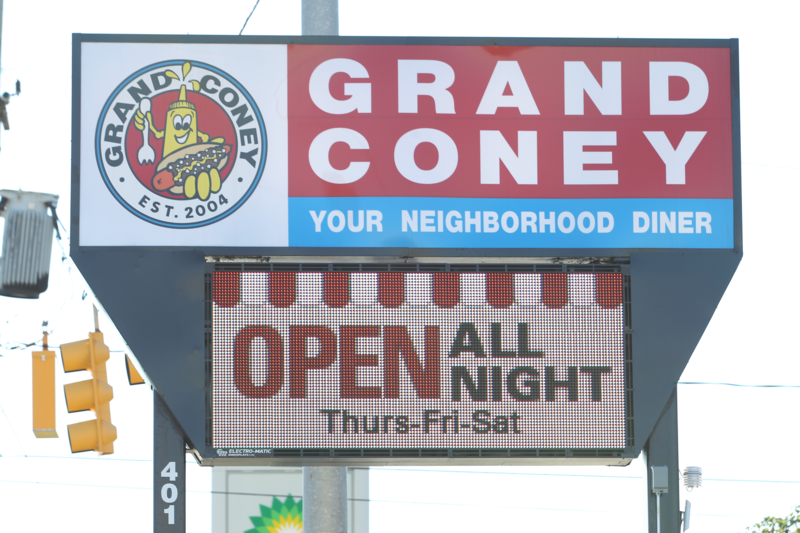 Good content makes the sign even more impactful and Grand Coney has displayed great content to attract more customers. 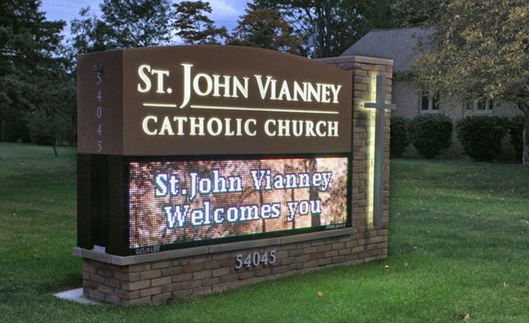 Choosing the correct size sign is a high priority when you are looking at LED signs. You dont want to have something too big or too small. There are several considerations that should be looked at to choosing the correct size. Grand Coney picked the correct size to compliment their location. 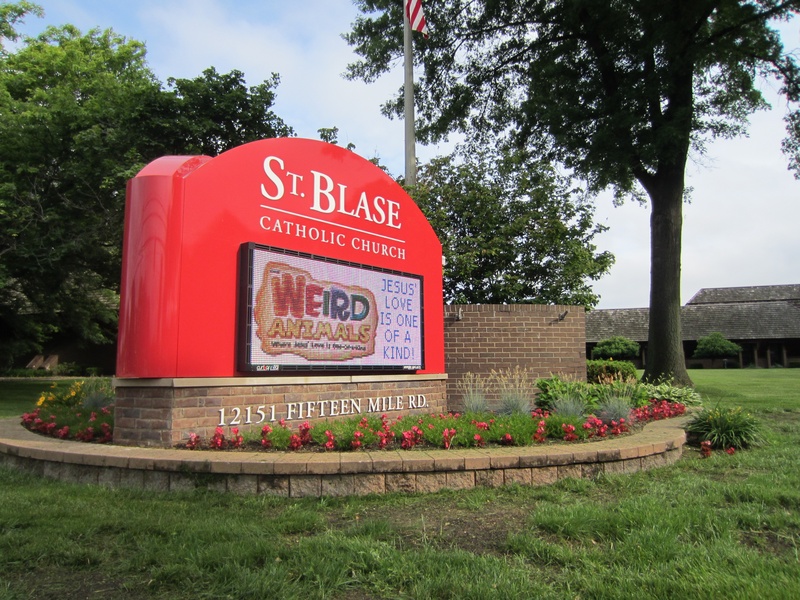 Their 16mm, 3'x7', full color LED display is sure to capture the attention of passing drivers and pedestrians. With the unison of Appearance Products, Grand Coney and Electro-Matic Visual this electronic message center has delivered as expected.